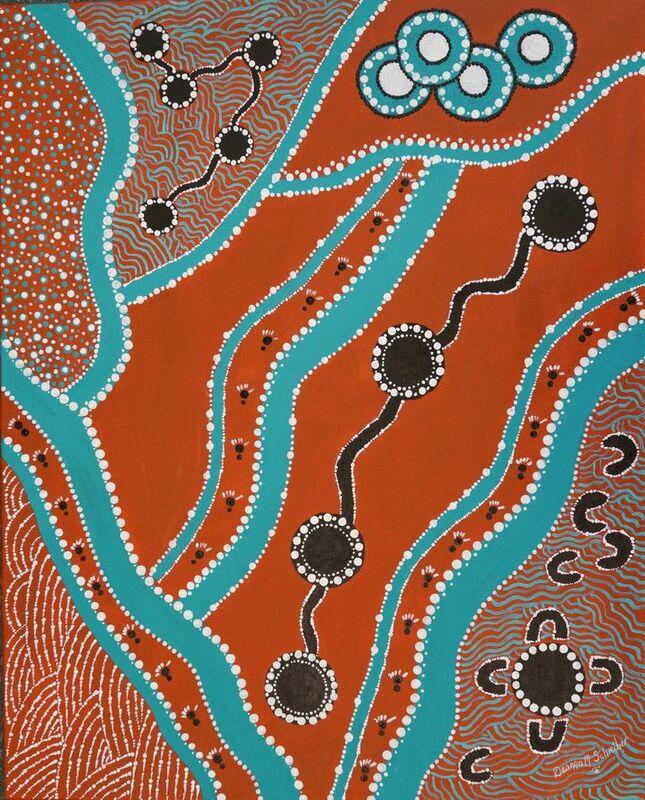 To support the Indigenous Literacy Day, Sutherland Shire Libraries are having a silent auction featuring a beautiful piece of artwork donated by a local indigenous artist. Deanna Schreiber is a Sutherland Shire resident, having made the Shire her adopted country. She was born in Gadigal country, Redfern, her mother was Wonnarua of the Riverina district and her father from Wiradjuri. 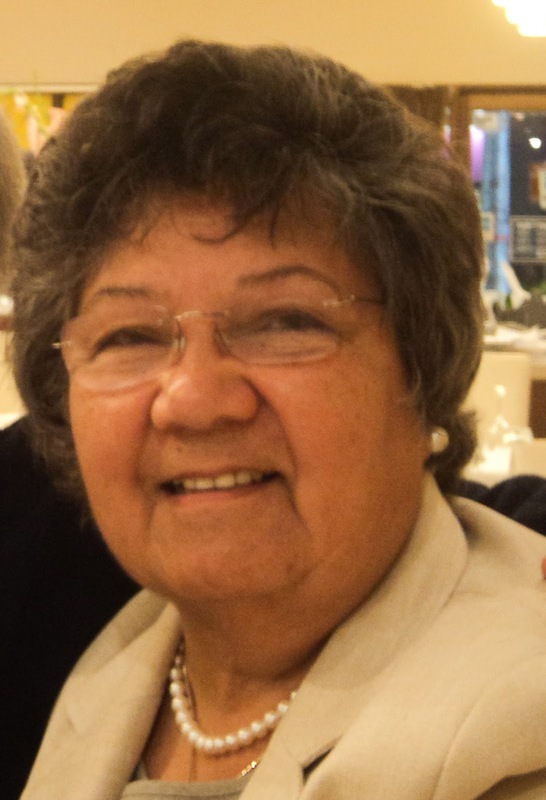 She is currently Chairperson of the Kurranulla Aboriginal Corporation. The corporation, at Jannali, acts as an information & referral centre for local Aboriginal people and offers advice on social support, educational, housing and health services. Kurranulla also auspices the Gnarra HACC Project and has a variety of authentic Aboriginal arts & crafts for sale all done by local Aboriginal artists. Deanna is a well-respected artist who has been painting for over 40 years. 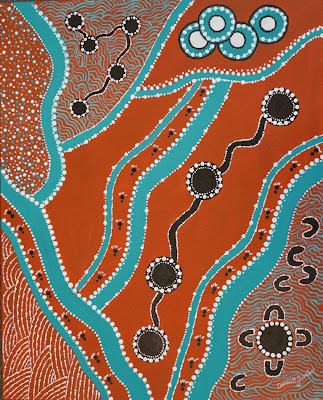 Her vibrant work, portrays people moving through the landscape, past an elder camp (bottom right), beside loosely connected communities and on towards a group of very closely knit communities (top right). The various textures indicate the variety of landscapes through which the travellers pass. To have this unique artwork in your home, or workplace, make a bid in an online silent auction, by 4pm on 13 September 2013. To bid you will be required to create an account (a short online form) with a valid email address and be over 18 years of age. 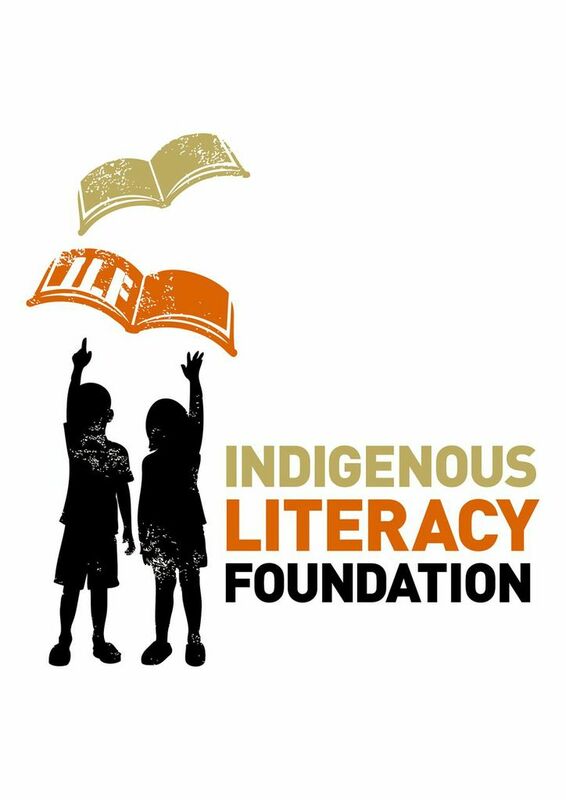 The Indigenous Literacy Foundation (ILF) coordinates Indigenous Literacy Day with the aim to help raise funds to increase literacy levels and improve the lives and opportunities of Indigenous Australians living in remote and isolated regions. Funds raised will be used to buy books and literacy resources for children in these communities. Check out the other activities being held around Australia, or purchase a book on 4 September from a participating bookstore and know that 5% of the purchase price will be donated back to the ILF.